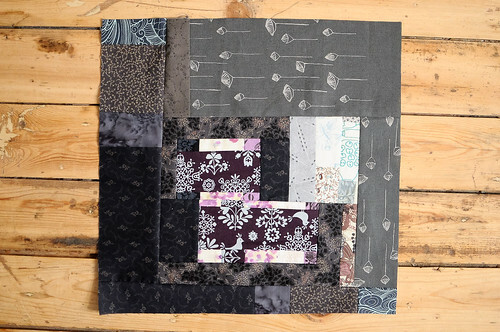 I’ve been patchworking every Sunday, but for the last ten weeks have been focusing on my Quilt Sampler 2 homework. The class just finished last Thursday, so I’ll post up photos of our finished quilt tops this week. Yesterday, I spent a few hours ironing and organizing my fabric stash at home. It’s gotten a bit messy and also spread out over the house, so I wanted to wrangle it into one location. It’s so fun to re-discover forgotten fabrics and make things all tidy. 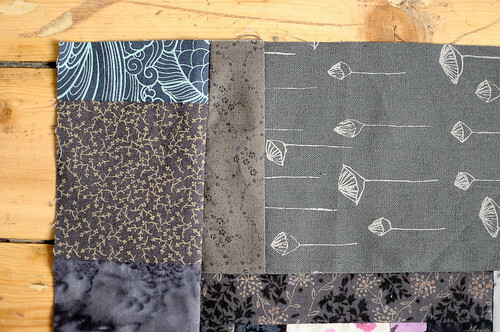 Handling all my fabrics, really got me inspired to work with some with new colour palettes. 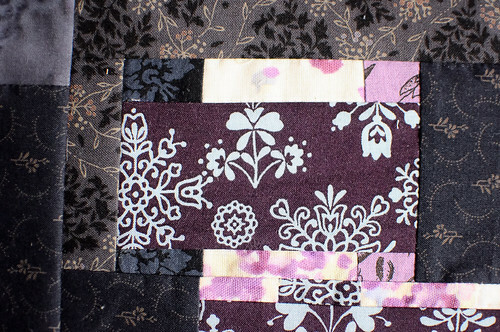 I’ve really been in the mood for some improv patchwork, so last night I started by using some scraps of purple nani IRO double gauze and threw in other scraps of dark grape-y purple, navy and light blues. I wanted to keep it fairly simple, but kept adding more and more scraps. It’s hard to stop, once you get going! I built two separate, but similar blocks so that they would be the right size for me to make myself a travel hoop bag. Tonight I’m going to baste the two blocks and start doing some simple hand quilting on them. I’ve been missing having a little hand work project, so this is going to be perfect! So pretty!!!! I love the little bits & the colors so much! I really enjoy seeing your improve pieced squares. They are so fun and active. 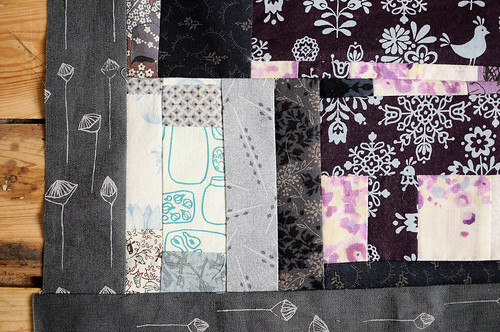 It’s so inspiring to see how things can come together if you just keep piecing. 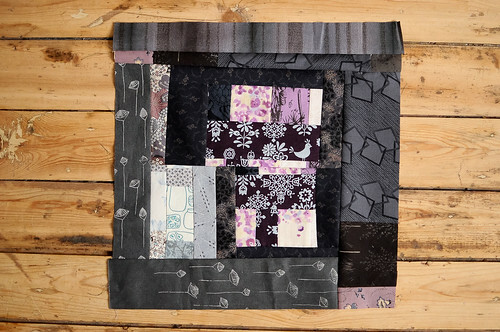 I especially like the tiny little bits you end up with – they seem to small to be part of more traditional patchwork.